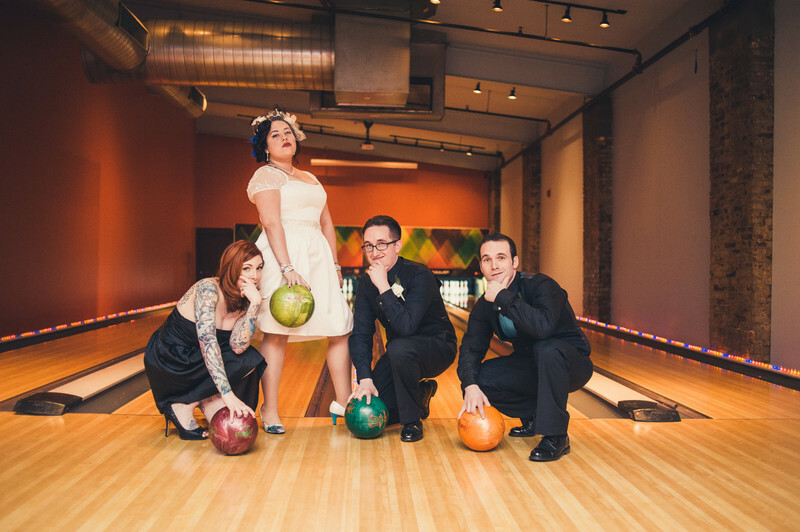 This wedding took place at Philadelphia's North Bowl on 2nd Street. Instead of a normal or boring wedding party shot, I wanted something that showed off the character of North Bowl and of the wedding couple. Using bowling I was able to accomplish this look. The wedding party loved the image. If you are getting married at North Bowl in Philadelphia contact us for your wedding photos!